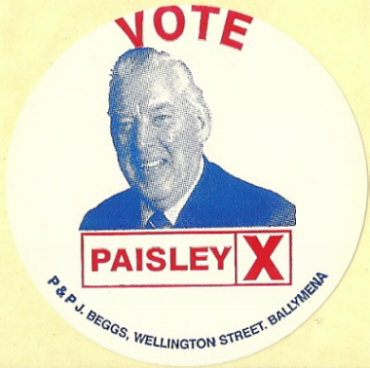 From the 1983 Westminster Election in North Antrim a Sorry I Missed you style card from Ian Paisley. 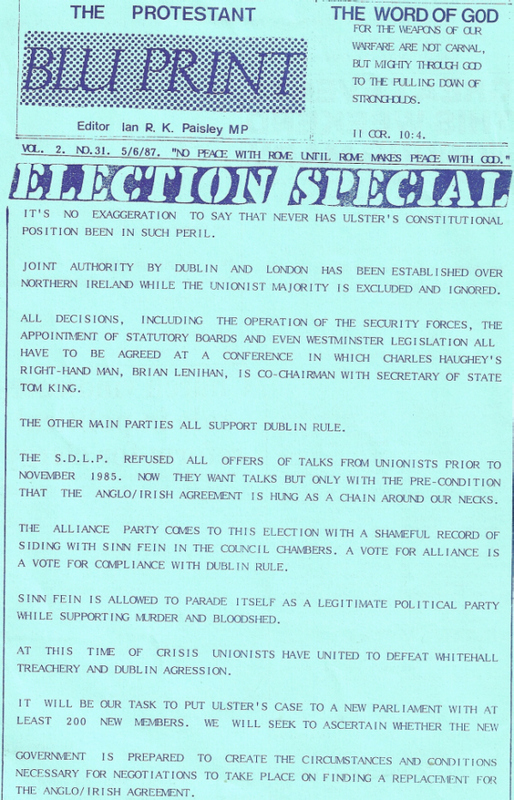 From the 1973 Assembly Election Campaign “Save Northern Ireland From A United Ireland” a message from Ian Paisley urging voters to vote for The Ulster Democratic Unionist Party in association with a group called the Loyalist Coalition. It also asks for contributions to the Party. From the 1986 North Antrim By-Election a leaflet from Ian Paisley of the DUP. Paisley won 97.4% of the vote! It was one of the fifteen 1986 Northern Ireland by-elections held on 23 January 1986, to fill vacancies in the Parliament of the United Kingdom caused by the resignation in December 1985 of all sitting Unionist Members of Parliament (MPs). The MPs, from the Ulster Unionist Party, Democratic Unionist Party and Ulster Popular Unionist Party, did this to highlight their opposition to the Anglo-Irish Agreement. Each of their parties agreed not to contest seats previously held by the others, and each outgoing MP stood for re-election. The 1987 Election Special of “The Protestant Blu Print” edited by Ian Paisley. 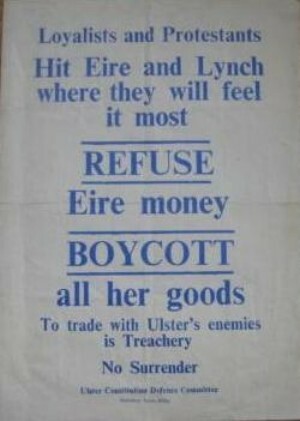 Its from around the time of the Anglo Irish Agreement and decries the forces of Dublin and London. The UCDC was established in 1966 and was made up of a committee of 13 with Ian Paisley as the head of the committee. The UCDC was the means by which Paisley led the protest against the reforms of Terence O’Neill in the late 1960s. The UCDC was also the ruling body of the Loyalist paramilitary style grouping the Ulster Protestant Volunteers (UPV). 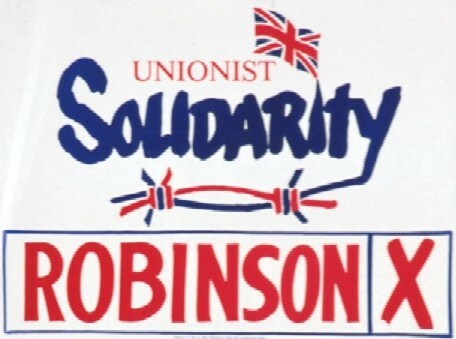 The Unionist Solidarity posters were modeled on the Polish solidarity, which must have been a deliberate affront at nationalists given the association the then Pope John Paul II had with Solidarity in Poland. In the end Unionists lost one seat with the UUPs Jim Nicholson losing to Seamus Mallon of the SDLP in Newry and Armagh.